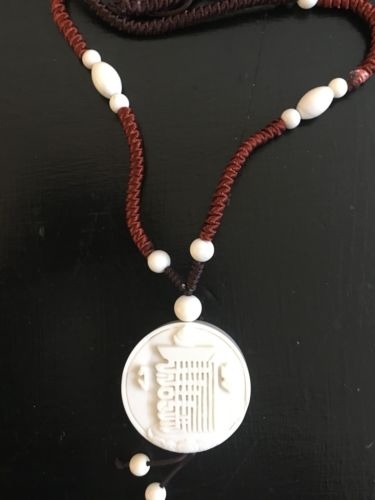 Beautiful hand relief carved Kalachakra Pendant out of a large Snow Crystal. Its comes with a cord with snow crystals throughout and at the end of then tassel. The pendant Snow Crystal piece is 1.7 inches.